Combine the two given numbers using one of the operations addition +, subtraction -, or multiplication x, and each number once and only once, to get as close to the target number as possible. Target the minimum number with (-9) and (+2). Example: for -7 and +9, use (+9) – (-7) = +15 to hit the maximum and (+9) x (-7) = (-63) to hit the minimum. The nearest to -35 is (-7) – (+9) = (-16) and the nearest to 0 is (+9) + (-7) = (+2). TARGET GAME This game can be played by a whole class when the teacher decides on the best answer, or it can be played by any number of players when they need to agree between themselves on the best answer for each round. The aim is to get as close to the target as possible. 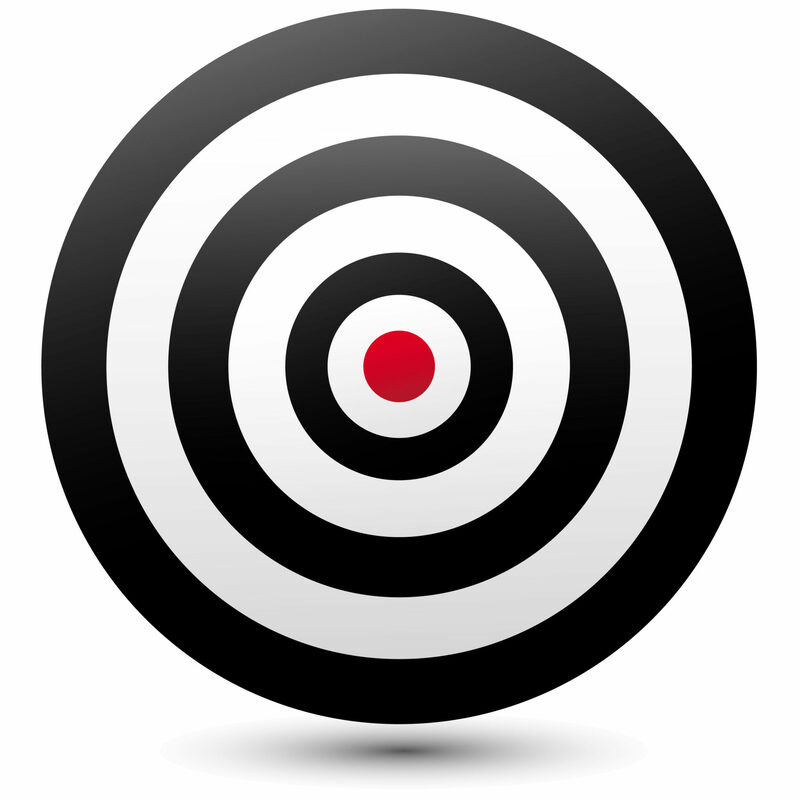 Players score 5 points if they hit the target. If nobody hits the target players getting nearest to the target score 2 points. You can download the sheet shown here and cut out the cards. Mix up the numbered cards and place them face down. Also mix the target cards and place them face down. Turn over the top two number cards and one target card. 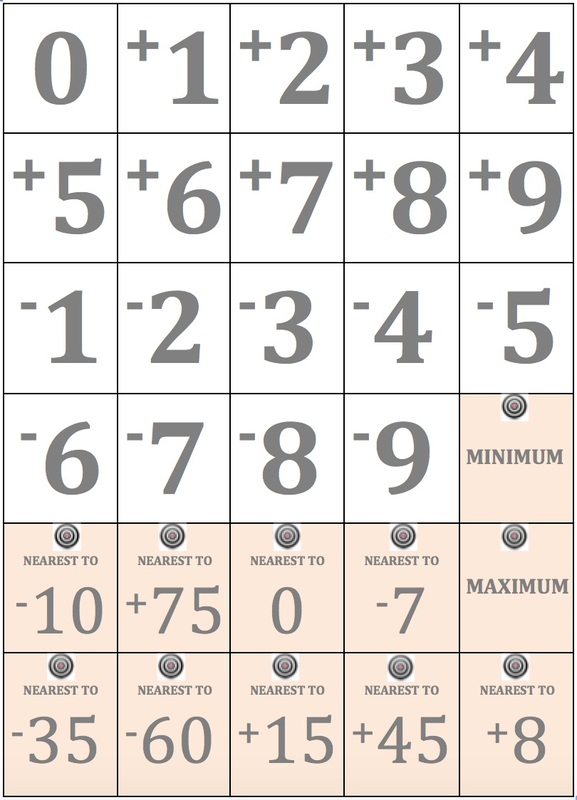 All the players must write down the two numbers and choose an operation to combine them to get as near to the target as possible. Then the players check their answers and the scores are recorded. The first player to reach 20 points wins the game. See the Notes for Teachers.